Our homeschool day did not go well. Actually, the whole week hadn’t been going well. The kids were not excited about learning the things I had planned. And honestly, I wasn’t enjoying it much either. There was a lot of complaining and even some tears. Joy and peace in the homeschool? Yeah, right. Then came the flood of uncertainty. Should I even be homeschooling? Maybe the kids would be better off in school. Am I ruining their lives? I don’t think I’m cut out for this homeschooling thing. This just isn’t how I imagined it to be. I thought this was going to be fun! Where is the fun?! I’ve had these kind of days more than a couple of times over the past four years and it always feels discouraging. If you are a homeschooler, I’m guessing you’ve gone through something similar at one point or another. Thankfully, after years of experience and making mistakes, I’ve learned what works for us in order to enjoy our days on this homeschool journey. In turn, the days described are less frequent. Of course, we still have days that aren’t so great but now I can just do a quick check to figure out what’s off balance and get us back on track. Here are some actions you can also take to gain more joy and peace in our homeschool. 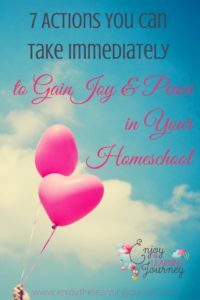 This is so important and in fact, is one of the most critical things you can do to gain more joy and peace in your homeschool. And unfortunately, it’s something I’ve had to learn the hard way. Many of us have started out on this journey believing the lie that we have to do more. We believe that you have to do everything (whatever you happen to think that everything entails) in order for our children to get a decent education. But the truth is that oftentimes less is better. Doing less reduces the stress you feel (and unintentionally may be sharing with your kids) and allows for you to spend more time on the things that matter most to your family without feeling rushed to move on to the next thing. When we free ourselves from having to do 10 million things we are releasing ourselves from the time and pressure that goes along with it. Decide today to just do the things that provide the most value and joy and let the rest go. Do less, take time and dig deep into the things that matter most to you and your family. What are your homeschool goals? What are your goals for your family? What are your priorities right now? What do you need to be focused on? And what are the things that don’t matter as much? These questions are intended to make you think about what is most important to you in your homeschool right now. The more clarity you have about your priorities, the easier it will be to to do less. You will know which things to say “no” to and which opportunities to say “yes” to. There are so many amazing possibilities available for homeschoolers and it’s easy to get caught up into wanting to do them all but unfortunately you can’t do it all. There just isn’t enough time. So, the more focused you are on your goals and priorities, the easier it will be to determine what to work on and what to let go. 3. Use curriculum that brings you joy. If you’re excited about what you are working on, that excitement will spread to those who you are teaching – your kids. And if it feels like a drag to you then it’ll probably feel like a drag to your kids too. So, if you currently love what you are doing then keep at it but if the curriculum is no fun for anyone then move on. No guilt. You tried it and it didn’t work and that’s okay. Find something else that is a better fit. 4. Make it a priority to do more of what makes you excited to get out of bed in the morning. Do you enjoy cooking with your kids? Or going on nature walks with them? How about sitting and reading together? Or working on crafts with them? Whatever it is that brings you joy, do more of it! Don’t worry about what other homeschoolers are doing and do what brings you joy and your family will be better for it. Plus, it’ll be easier to get and up get going on those days you don’t really feel like it! 5. Do your best each day and let the Lord fill in the gaps. Sometimes I think us homeschool mommas (and people in general, really) have a tendency to overcomplicate things. But when you just do your best each day and pray for the Lord to fill in the gaps, you are doing all that you should be. 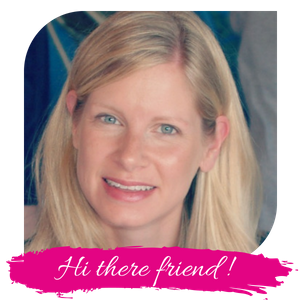 Don’t be fooled into thinking you need to do more (I may just be talking to myself here). Remember, God wants us to lean on Him and guide our children to do the same so that’s what we should do. Do your best, worry less and rely on Him. 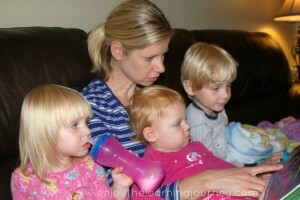 With mothering and with homeschooling you are giving of yourself, pouring into your kids every single day. But you are a person too and you need to refill your tank in order to pour into your children again the next day. Find something that refills your tank and do it every day. For me I am making it a priority to read every single day. Even if it’s for just 15 minutes, that small chunk of time helps me to reenergize. Now I know this can be extremely tough if you have babies and toddlers at home. I remember reading advice like this when my twins were at that age and I barely had 1 minute to myself much less 15 minutes. So, I know this can be difficult. In fact, when you are in the middle of it, it can feel impossible but do what you can to give yourself a little breathing room each day. Maybe it means putting on an educational show for the kids or allowing them to play a learning game on the tablet so you can do something that makes you feel like you can keep going. Just make sure you spend the time doing what you love rather than getting sucked in to social media or whatever else (unless that’s the thing you are intentionally choosing to do). Finding time to refill your tank can make a huge difference in your parenting and your homeschool as it allows you to refocus your mind and release stress. Even if you aren’t an avid reader, reading valuable books directly or indirectly related to homeschooling can be so helpful. With insight from authors who have been down that road (or are on that road right now) you can gain knowledge, clarity and peace in order to enjoy this journey you are on! If you haven’t already read Sarah MacKenzie’s Teaching from Rest you’ll definitely want to start there. It’s an excellent, inspiring book that will probably make you look at homeschooling differently. Another helpful book, with a collection of different authors is Homeschooling: What to do When You Want to Quit. This books gives a variety of view points from a group of homeschoolers. It addresses a number of struggles that homeschoolers face and gives practical tips. If you are having a tough homeschool day, or week, or month, take a deep breath, choose one action item and decide to implement it immediately. Whether it be to do less or read a book about homeschooling or take 15 minutes a day to do something you love, just make the decision to do one thing and begin right away. Thank you fort this- it was what I needed today as homeschooling with my toddler around has been particularly trying the last couple weeks.